A jury that included renowned inventors, designers, and a patent attorney came to Cooper on Friday, July 11 to judge the second annual Invention Factory, a 6-week summer program that teaches students about the rigors, pitfalls, and excitement of inventing a new product. Listening to proposals for magnetic wall frames, a bottom-release garbage can and a bike helmet that could convert to a lock, among other inventions, were Stanley Lapidus EE'70, Ben Itri EE'75, Milton Glaser A'51, Fred Shen, Barry Negrin, Esq. ME'89, Yash Risbud EE'92/MEE-'94, Flavio de Roma Leao and Ulas Neftci. 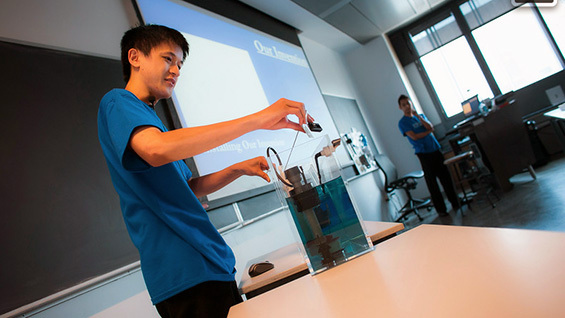 The judges awarded first prize to the team of Abiyaz Chowdhury EE’16 and Eric Nguyen EE’16, who invented a device to easily convert a toilet from a single- to a dual-flush system. 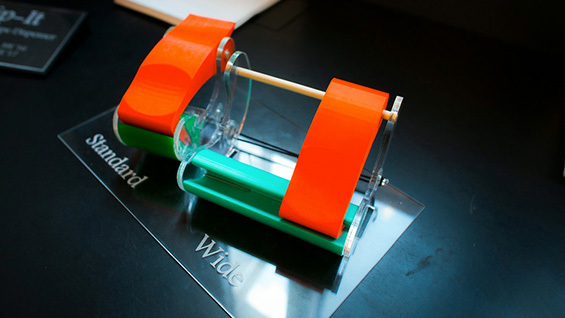 Second place went to Deanna Kovalcin ME’16 and Jessica Marshall EE’17 for a universal tape dispenser and cutter. 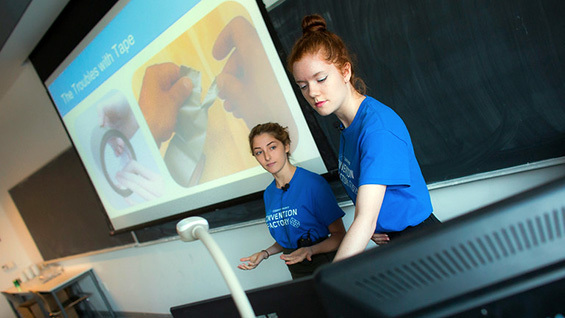 The teams were awarded $5,000 and $3,000 respectively to continue developing their inventions. 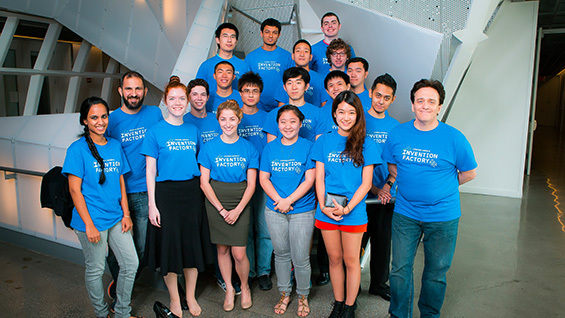 This year the founders of Invention Factory, professors Alan Wolf and Eric Lima, worked with 17 students to imagine a problem, design a solution, build a prototype of an invention and file a provisional patent application. The teams received $2000 each for materials for their inventions and presentations. In the first week, most students found a partner and practiced what inventors call ideation exercises, activities meant to prompt creative thinking. For instance, the professors asked students to imagine they owned a fat and a lean cat who had different diets. How could they be kept from eating each other’s food? Once the teams came up with an idea for an invention, they needed approval from a majority of their classmates and at least one professor to move forward. If they received a lukewarm reception, teams would “pivot,” that is, refine or change their invention. Prof. Wolf believes that by wrestling with a design problem, which probably can’t be solved completely on a first attempt, students learn persistence, a quality that may not be fostered in other academic coursework. Ultimately they have a better solution, and improved self-esteem. Chowdhury and Nguyen created a device that makes updating a single-flush toilet to a dual-flush remarkably simple. It can be installed in less than a minute and requires no tools. The user drops a half-gallon container into a toilet tank. The container, which has a trap door, is controlled by a switch connected to the toilet lever. For a half flush, the trap door remains a closed; a full flush causes the trap door to release its half gallon of water. The team made a video of the installation and had an acrylic toilet tank built for a live demonstration. Invention Factory has been made possible by generous funding from the Edward Durbin and Joan Morris Innovation Fund. Ed graduated from Cooper in 1948 with a degree in electrical engineering. We are deeply grateful for his support and encouragement of our students.